(from Wikipedia, the free encyclopedia) The Talbot Samba is a supermini car manufactured by the PSA Group in the former Simca factory in Poissy, France, and marketed under the short-lived modern-day Talbot brand. Based on the Peugeot 104, it was the only Talbot not inherited from Chrysler Europe, engineered by PSA alone. It was also the last new Talbot to be launched, and the last in production. 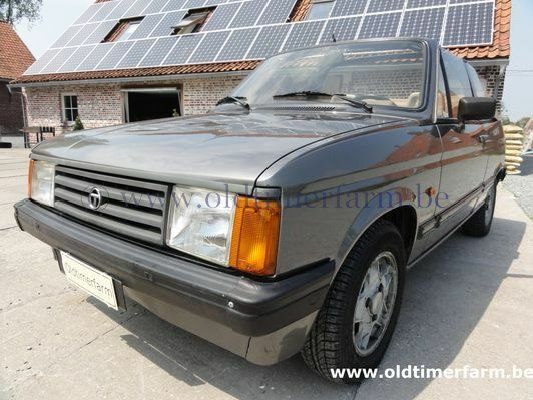 Its demise in 1986 was effectively the end of the Talbot brand for passenger cars. Launched initially as a three-door hatchback, it was also for some time the only supermini available in a factory-ordered cabrio body style, and the most economical car in Europe. The PSA Group, formed in 1976 when Peugeot bought out its competitor, Citroën, took over the former Chrysler Europe in 1979; one its first decisions was to rebrand all of the models manufactured in the French and British factories to Talbot. 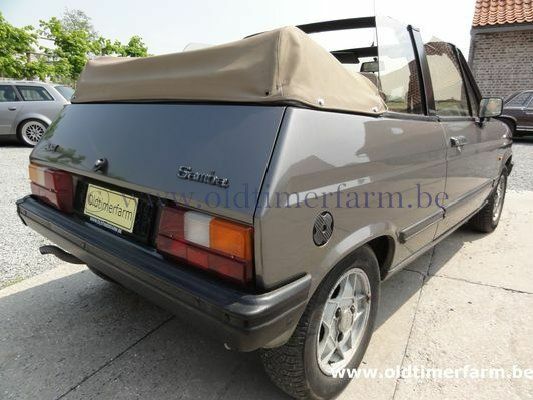 Among the models inherited from Chrysler was the Scottish-built rear-wheel drive Talbot Sunbeam, the only supermini in the lineup. The Sunbeam was originally conceived by Chrysler as a stopgap model, developed to keep the Linwood works running—it was based on the running gear of the earlier Avenger made there—while helping the company to maintain a foothold in the growing supermini market. Aware that a more modern design was needed to compete with upcoming front-wheel drive rivals, Chrysler undertook some development work on a shortened version of the Chrysler Horizon (which had the development code C2), dubbed C2-short, but it was cut short by the company's financial problems and plans to divest Chrysler Europe. PSA decided that the Linwood plant would be unprofitable to maintain and should be closed, which meant an end to both the Avenger and Sunbeam model lines, further emphasizing the need for a new supermini in the Talbot lineup. On the eve of the 1980s, PSA's supermini lineup consisted of models based on the veteran front-wheel drive 1972 Peugeot 104, which came in a shorter three-door and longer five-door version. Citroën rebadged the short-wheelbase 104 as the Citroën LN, and the long-wheelbase chassis formed the base of the five-door Citroën Visa. In 1979, PSA decided that their new small Talbot would also be based on the 104 rather than the Horizon. Keeping the common underpinnings allowed the new model, known internally as project C15 (later renamed to T15 to reflect the brand change from Chrysler to Talbot) to be launched in 1981, in time to replace the Sunbeam when Linwood would close. In order not to create too much internal competition with the Horizon and Peugeot's planned 104 replacement (which later became the Peugeot 205), the shorter version of the 104 platform was chosen. This made the projected model slot in size slightly below popular superminis such as the Ford Fiesta, but above the smallest cars, including the about-to-be-launched Austin Metro. Bodywork. Length/width/height/wheelbase – cm (in) : 351/153/136/234 (138/60/53.5/92.1); weight : 800 kg (1766 lb). Engine. Straight 4 1360 cc (83 ci), front-mounted, 8 valves, 2 carbvs, manual 5-speed gearbox, front wheel drive. Maximum power : 59 bhp @ 5800 rpm; torque : 109 Nm @ 2800 rpm. Top speed : 168 km/h (104 mph); 0 – 60 mph in 11.6 sec.